Can farming mean a permanent renewal of life? Manisha Lath Gupta has been following the principles of permaculture at her farm in Morni Hills, Haryana since the past five years. What was a barren piece of 4.04 hectares (ha) is now a lush forest. Like Gupta, many others across the country are gearing up to share their experiences about permaculture at the 13th International Permaculture Convergence in Telangana. (see details at the end). For the uninitiated, permaculture is a combination of “permanent” and “agriculture” and can also refer to “permanent culture”. It is about using resources in a sustainable manner. · It was started by ecologists and gradually found acceptance among rural communities and also city-dwellers. · The concept emerged in the 70s in Australia and revolves around three main principles: Earth care, people care and fair share. · Its roots lie in traditional farming practices which remained resilient through industrialisation and urbanisation. These practices respected mother earth and worked with her, rather than against her. · Permaculture integrates land, resources, people and the environment through mutually beneficial synergies. In the 80s, when India was witnessing the Green Revolution, the pioneers of permaculture, Bill Mollison and Robyn Francis, designers and educators from Australia visited India to conduct the first beginner’s level course in permaculture. The Permaculture Design Course was attended by 30 organisations, farmers and non-farmers from India and Nepal at the Central University, Hyderabad in 1987.The course focused on the principles and practices used to grow food without using machines and chemicals. Among the participants were Vithal Rajan, the founder of Deccan Development Society, a grassroots organisation in Telangana, Dr L Venkat, a retired doctor who became the father of permaculture in India, and Narsanna Koppula, co-founder of an environmental non-profit, Aranya Agricultural Alternatives (AAA), which has been practising permaculture for more than two decades on 4 ha of land in Telangana. The result is a one-family model farm, called Aranya farm, which favours diversity of indigenous produce. During the course, the first permaculture demonstration farm was set up in India in Pastapur, Medak district, Telangana. Three years later, a National Conference on Permaculture was held, followed by the formation of the Permaculture Association of India (PAI) in 1998. The PAI provided training and support to spread the concept across India and neighbouring countries. In 2016, AAA organised a National Permaculture Convergence, which hosted 1,180 practitioners of permaculture. Today there are many permaculturists across the country and there are even those who follow permaculture without being aware of the label. In the 90s, many Indians didn’t want to be labelled as permaculture followers because for them the concept was Western. Permaculture encourages people to make the concept their own, and adapt it to their local context. That is how diverse permaculture initiatives have multiplied across the continents, and the concept is now spreading in developed as well as developing countries. Even alternative education institutions such as Bhoomi College in Bangalore and Swaraj University in Rajasthan inform their students about permaculture and practise it themselves. 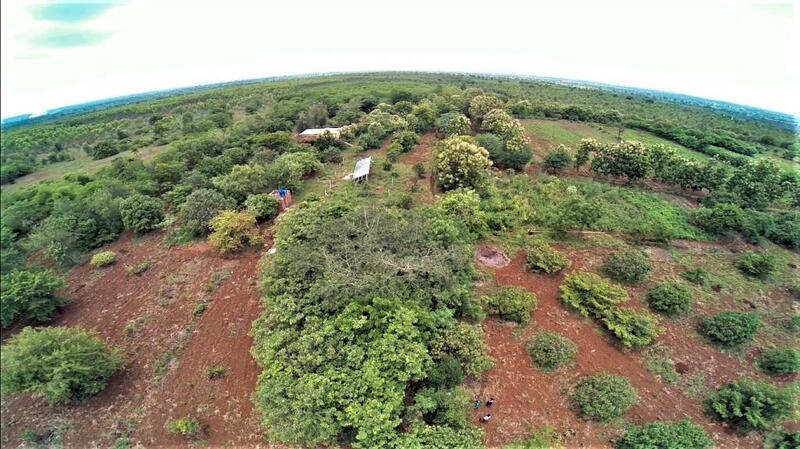 As a lead up to the 13th International Permaculture Convergence, Down To Earth presents a series of blogs on permaculture in India. Organised by Aranya Agricultural Alternatives, IPC will be held in November 2017. Can a barren land be turned into a food forest?